The MAGNUM-V3 is our flagship analog audio console, everything we have learned over the past 25 years and more have gone into the design and production of this mixing desk. If you are in search of a really big production audio console, this is it. The MAGNUM-V3 is certainly the biggest analog mixing system available today. However, we are not talking about the physical size of the console, but specifically, what it offers. Our principle of absolutely no compromise in sonic and build quality is reflected in the Magnum-V3. The MAGNUM-V3 analog audio console offers a mono inline module and a stereo input module. Both of the module versions of this audio console are fully featured with a vast ammount of features. This mixing desk has not only an 5-Band-EQ and a Compressor. A Noise-Gate, an Expander and an additional Denoiser are available in the mono and the stereo channels of the Magnum-V3 as well. 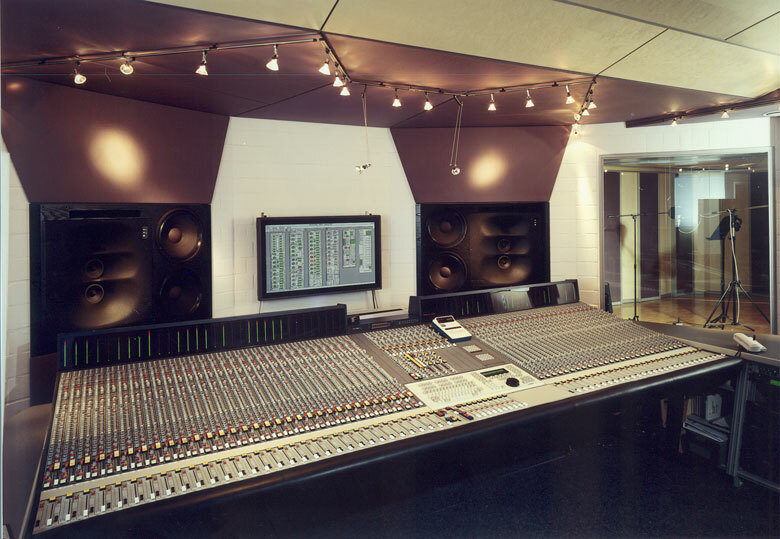 9 aux sends, a stereo cue send and a dual extention system in combination with the real 48 channel routing system are additional features of this analog console. The MAGNUM V3 offers a complete recall and automation system and a fully equipped master section. Any Magnum V3 is always configured for the special needs of the customer. High-pass and low-pass filters, de-esser, compressor, expander, noise gate, 5-band split EQ, switched and routableiInsert. All treatment units can be switched separately into tape or record path. The compressor expander can be switched before or after the EQ. The insert point can be applied pre or postthe processing section of the tape return or record-path, or, it can be placed in the side-chain of the compressor, expander or Noise gate. Two automated faders with LED ladder for VCA position indication, both faders with VCA automated groups. Stereo cue send, 9 mono aux-sends, selectable separately between tape and Record path. Automated aux cut, dual aux extension in the buss Routing for an additional stereo-send or 2 mono auxiliaries. Two selectable Stereo inputs, selectable input mode; left and right channel exchanged, summed mono, and right channel phase flip. High-pass and low-pass filters, denoiser, compressor, expander, noise gate, 5-band EQ, switched and routable insert and MS direction mixer, elliptical EQ as well as a 2-Band-EQ, which can be used in the side chain of the dynamic unit or in the MS rule path of the direction mixer. compressor, expander, noise gate, and de-esser. 9 mono aux-sends, stereo cue and dual extension system for the formation of other sends in the Routing. with LED ladder VCA position indicator. Alternatively automated stereo pan-pot and balance controls. 8 stereo return channels in the master section with 3 band EQ, expander, direction mixer with elliptic EQ, automated fader and 48 buss routing. Master section with EQ and dynamics. For a period of more than 18 years we have studied and researched the concepts of the milestone series; MAGNUM in the advancement of analog mixer technology. Many of the functions realized for the first time here were later part of the 5MT series. Here is a look at the development of this series. 96 automated faders on the first audio console of this series, a 42-channel mixing desk. 2 faders per channel, automated VCA groups and stereo master. Two stereo-masters and stereo-master, 48 buss Routing, fully parametric 4band Split EQ, dynamics with compressor and noise gate, 2 switched and routable Inserts per channel, separated, connectable solo in Place for tape and Record fader, separate PFL, 8 additional stereo Returns with 3band EQ and elliptic EQ, master compressors, direction mixer and elliptic EQ's on the stereo-masters, altogether 7 stereo-sends and aux-extension in the routing with different flip function to the combination of different faders. 2 automated faders per module, 48 buss routing, fully parametric 4band split EQ, dynamics with Compressor expander, Noise gate, switched and routable Insert. Altogether 9 mono aux-sends with cut automation and 1 stereo cue. Additional dual aux extension in the routing. Master section with 8 automated stereo returns, stereo master with direction mixer, elliptic EQ, master compressor and phase shifter. Monitor controller with integration of Surround-Encoder and decoder, three separate monitoring paths, 10 external listening points, parallel selection of the digital exits of the external listening points for external converter, aux- and cue master with equalizers and extensive talkback and listen functions complete make this audio console complete in every respect.